Arsene Wenger has stated that Alexis Sanchez's reaction after Arsenal's 3-3 draw with Bournemouth on Tuesday was something normal. 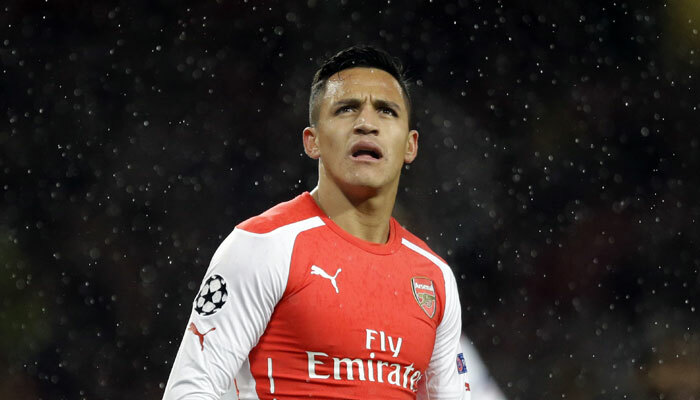 The Chilean international looked unhappy with the night's result. He threw off his gloves before storming off without greeting anyone while his mates were celebrating the comeback and this made the papers conclude that he wants a move away from the Emirates stadium. Responding to questions at his press conference on Thursday, the Frenchman rubbished such claims as he made it known that such an attitude isn't strange in the game. “What is surprising? We want to win the games, if you don’t you’re not happy. That is normal,” he said at Thursday’s press call. “Without passion you do not come back when you are at 70 mins and 3-0 down. “It is exceptional and you need a special response. Some insider sources revealed that Sanchez's gloomy mood continued up to the dressing room where he failed to talk to any of his teammates. Anger was written all over him. This could be a bad one for Arsenal who aren't doing enough to assure the forward of their ambition for success. If things continue this way, he may head towards the exit door at the end of the season.